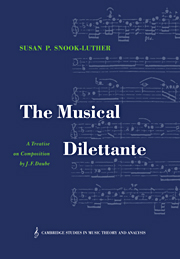 This is the first English translation of Johann Friedrich Daube's Musical Dilettante: A Treatise on Composition (Vienna, 1773). 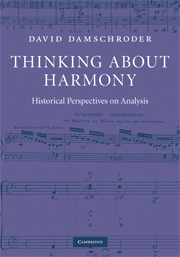 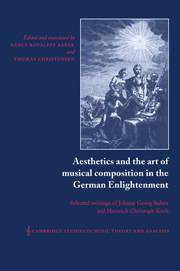 Written as a practical, comprehensive guide for aristocratic dilettantes wishing to compose instrumental chamber music for their social entertainment, the treatise covers genres from duets to double fugues, and includes the earliest instruction in string quartets and idiomatic orchestration of symphonies. 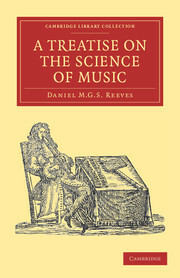 Daube's Musical Dilettante has long been overlooked due to his better-known Thorough-Bass in Three Chords (1756). 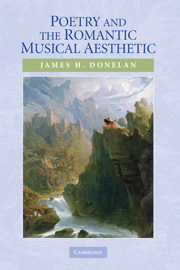 Nevertheless, Musical Dilettante is the keystone of Daube's theoretical writing, and offers the most comprehensive view of galant composition available in a single volume. 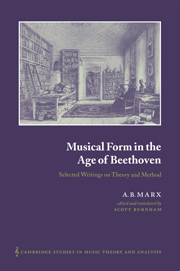 The signature of Musical Dilettante is its unique textural emphasis and Daube's examples sparkle with concertante interplay, conversational part-writing, and idiomatic instrumentation. 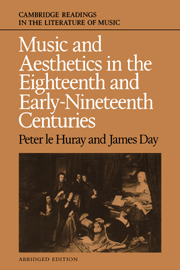 The volume includes an introduction to Daube's life and theoretical works and a bibliography. 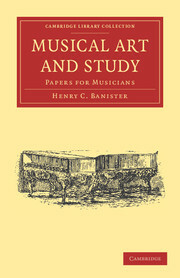 It will be of interest to students and scholars as well as performers.